Royal Mail is over 500 years old and one of the most trusted delivery companies in the UK. To celebrate the nation’s events and passions throughout the course of the year, they produce limited edition collectible items, such as First Day Covers, Stamps and Year Books. We’ve worked with Royal Mail across a number of different projects, to recognise and commemorate these special events throughout British history. To mark the 90th anniversary of the end of the First World War, we were commissioned to create a First Day Cover. The design builds around the iconic image of the poppy, adopted as a symbol of remembrance, this theme is brought to life through bright, yet sensitive illustrations, and have now become a limited edition collectors item. To celebrate the world’s most beautiful gems, we created a set of eight stamps and a First Day Cover featuring the Crown Jewels for Royal Mail. 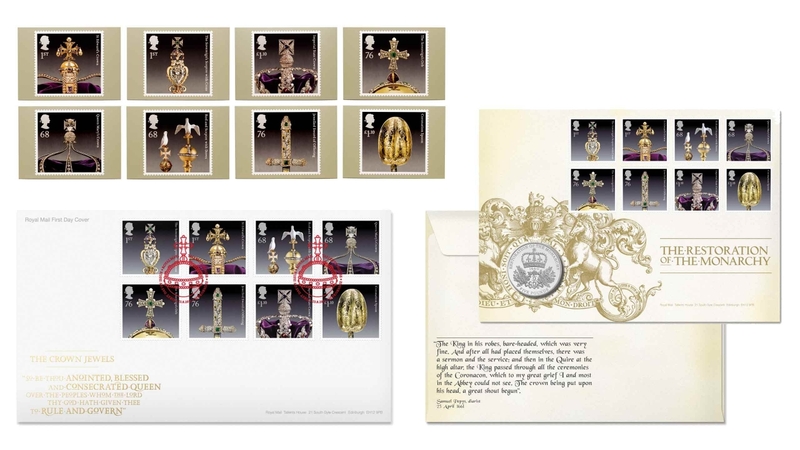 The stamps marked the 350th anniversary of the making of many of the items featured on the Crown Jewels, which were created for the coronation of King Charles in 1661. The limited edition collection features a photographic representation of eight key pieces – based on their historic and symbolic significance. The images are close enough to reveal the beauty of individual gems, yet generous enough to give an impression of the overall form of the piece. Royal Mail wanted to celebrate the life and work of 10 distinguished individuals from the realms of engineering, computing, architecture, music, politics, literature and design – each figure celebrating an anniversary in 2013. We create the ‘Britons of Distinction’ stamps to evoke both the individual and their achievement; each connected to a wealth of exciting history and powerful individual accolades. A key challenge in designing this set of stamps was to create a visual thread that linked the varied group together. We created a mix of visually arresting black and white portraits of five of the Britons, alongside colourful depictions of the achievements of the other five Britons – with both sets of images portraying the heritage associated with each of the distinguished figures. 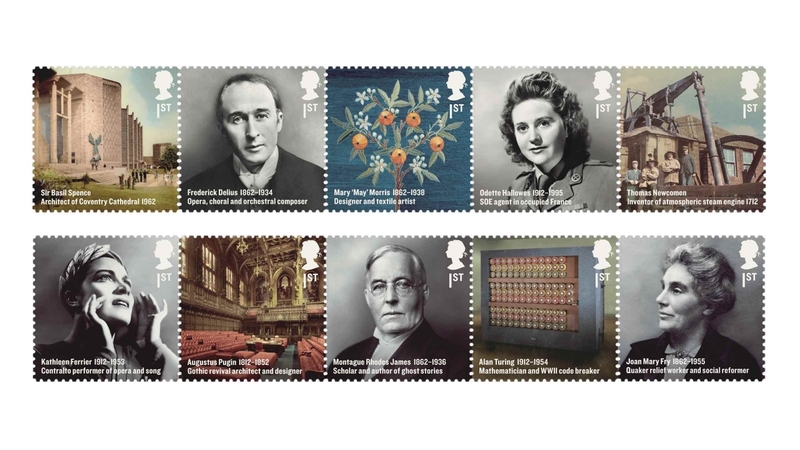 To commemorate the centenary of the birth of ten remarkable Britons who have made a significant contribution to our way of life, we worked with Royal Mail to design a set of Stamps, a supporting Presentation Pack, First Day Cover, Filler card, as well as two Cancellation Stamps. Those portrayed in the set are from the fields of broadcasting, sport and graphic design, among others. The main challenge we faced was to tell a story about the individuals’ lives within such a limited environment. Original portrait photographs were sourced through contact with archives, estates and family members, to enrich the narrative through the backdrop, clothing or pose depicted. The Pack and First Day Cover are designed to resemble an Edwardian display cabinet and curated to showcase a rich collection of objects from the Britons’ lives – encouraging collectors to explore the subjects with a sense of discovery. By presenting the Britons immersed in the environments and activities which made them such prominent figures, their remarkable stories are told. 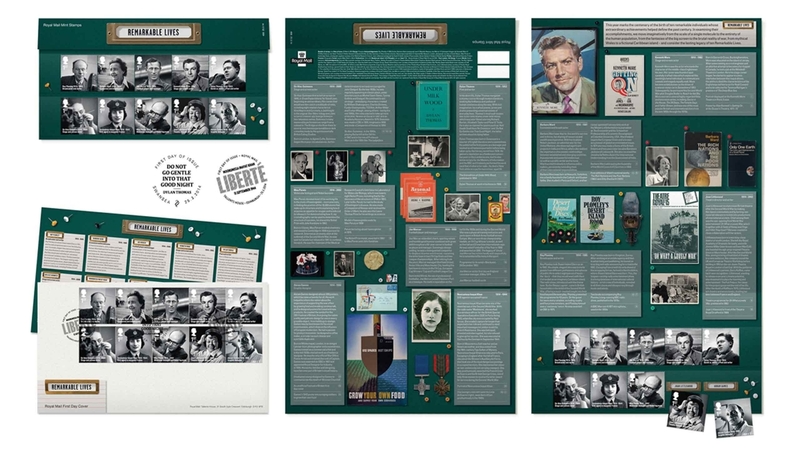 The limited edition 64-page Year Book, celebrates the people and personalities behind the significant historical or cultural anniversaries featured within the Special Stamps series over the past year. 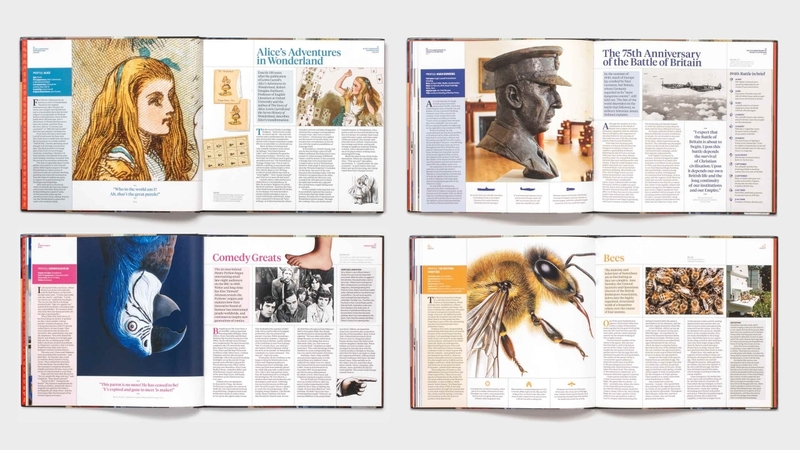 The key challenge was unifying the 14 different subject areas – from kings to comedians, architects to inventors, free-thinkers to fictional characters – to create a strong creative thread throughout. We took inspiration from the iconic profile of the Queen’s head featured on all British stamp designs. On definitive stamps, the Queen’s head remains as the single, central image, while pictorial special stamps use a small silhouette in the top corner, creating a strong association between stamps and profiles. This became the foundation for our creative approach which helped to link the various subject areas and content throughout the book. Each chapter opens with a large profile portrait of a person or character closely associated with the topic and supported with a wealth of illustrations and commentary from an established expert in the field. To celebrate 500 years of operating a regular, organised postal service, Purpose worked with Royal Mail to tell the story of how the postal system has evolved over the last five centuries into the nation-wide service that Royal Mail runs today. 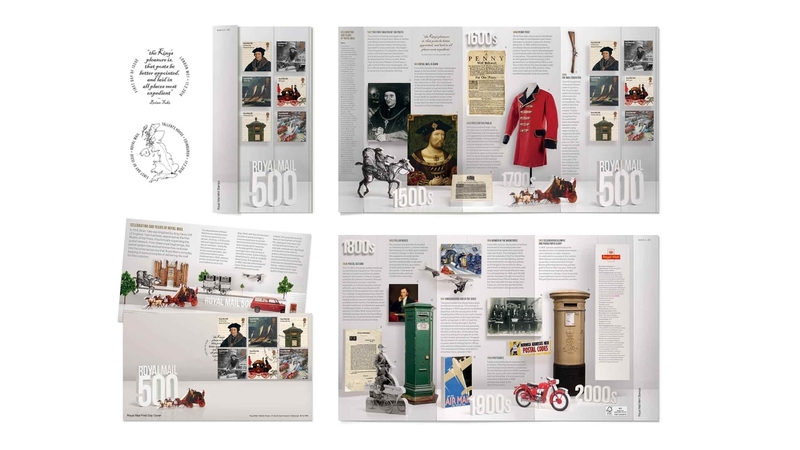 Key milestones and developments, depicting the achievements of the great postal pioneers and reformers were featured across the Royal Mail 500 series. 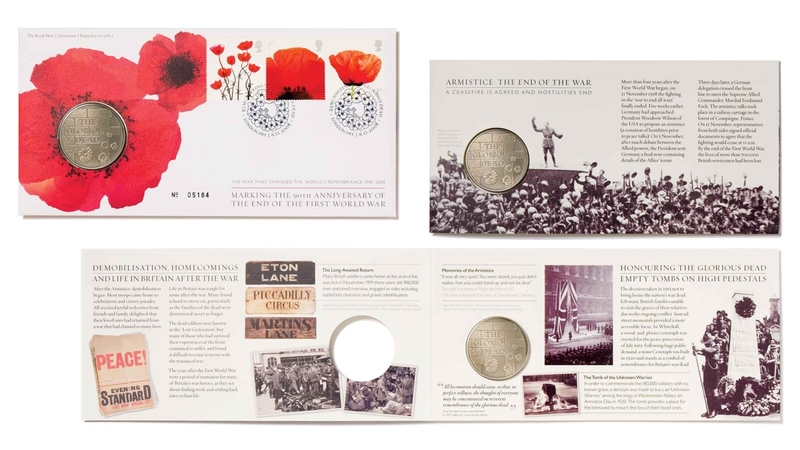 We created the Miniature Sheet and Mini Sheet Holding Card, Presentation Pack, Cancellation Stamps, Envelope and Filler Card to support the six commemorative Special Stamps, which were issued in February 2016. The presentation pack is a chronological gallery showcasing a range of significant items from Royal Mail’s 500 year history, from fragile 16th century documents to 21st century gold post boxes and the Filler Card traces the evolution of delivery methods through the ages. Classic General Post Office posters from the 193o’s, were used to create the Miniature Sheet and set of Stamps which feature four striking artworks, by Edward McKnight Kauffer, Hans Unger, Hans Schleger and Harry Stevens, set on a colourful background of other poster designs from that era. 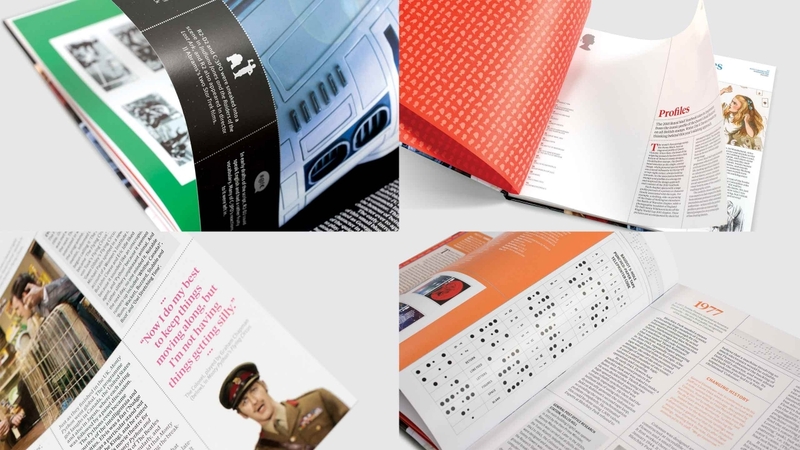 Royal Mail have worked with Purpose for a number of years, I feel they understand us as a company and provide a fantastic range of design solutions appropriate to our customers needs.